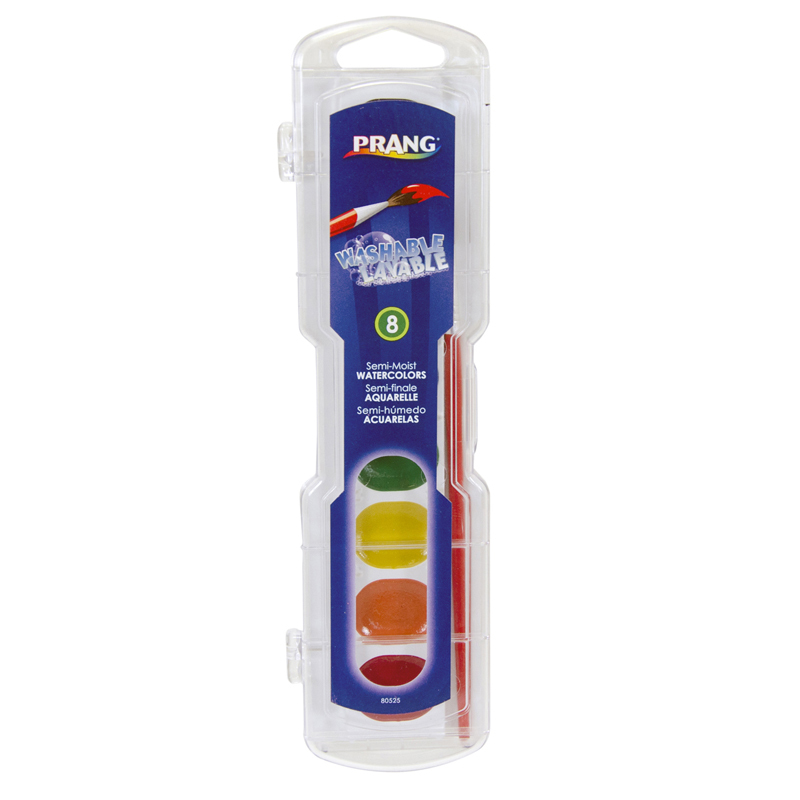 Prang® Semi-Moist Washable Watercolors feature the tuned palette of brilliant colors and intense pigments that have made Prang the watercolors most preferred by teachers nationwide. 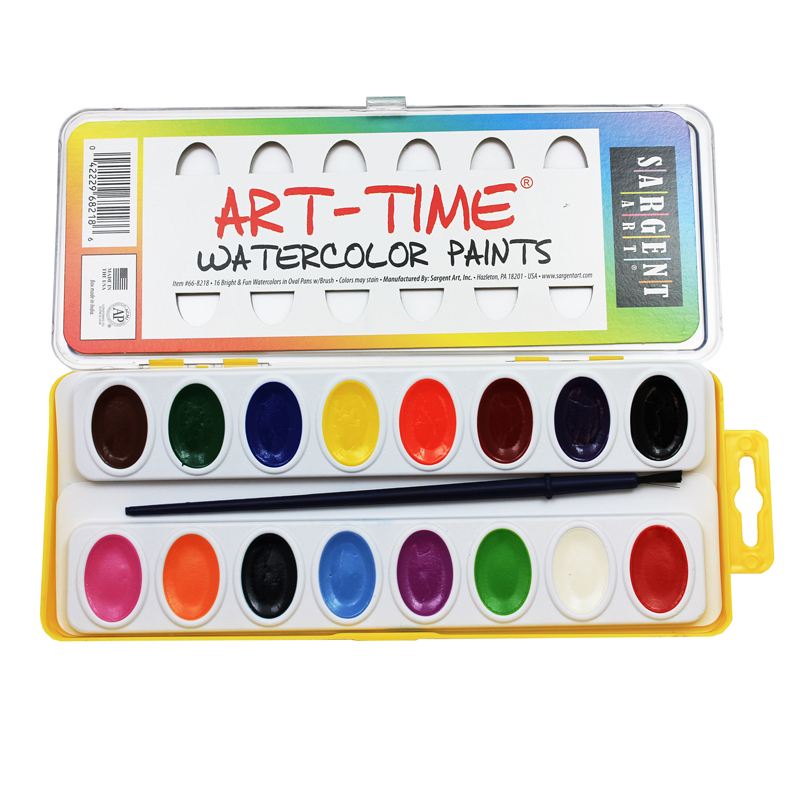 These washable watercolors easily wash off clothes and skin with soap and water. AP certified non-toxic. Conforms to ASTM standards. 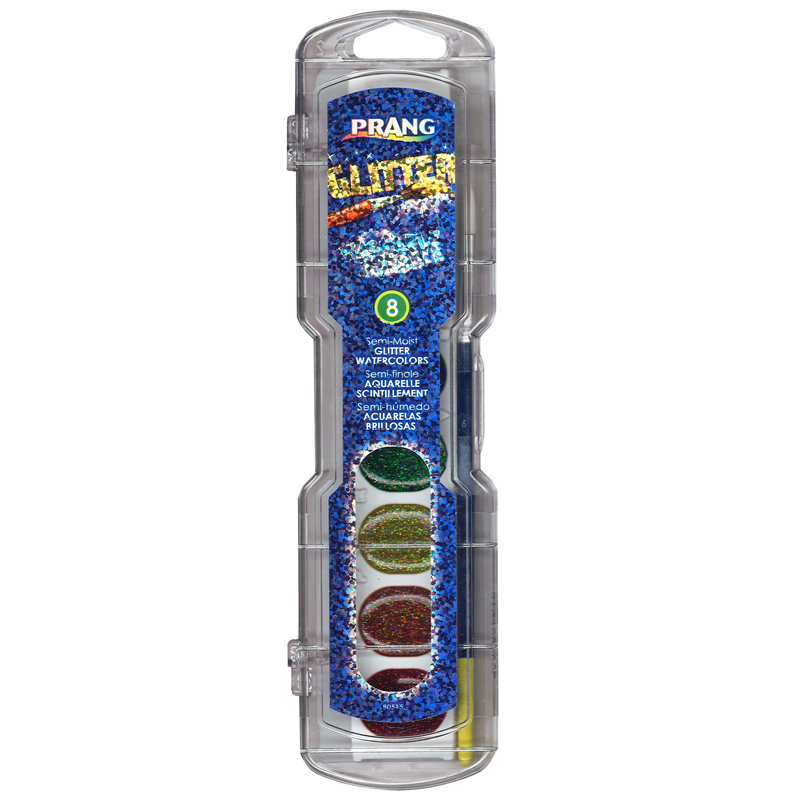 Includes 8 glitter colors and a No.9 brush in a plastic case. 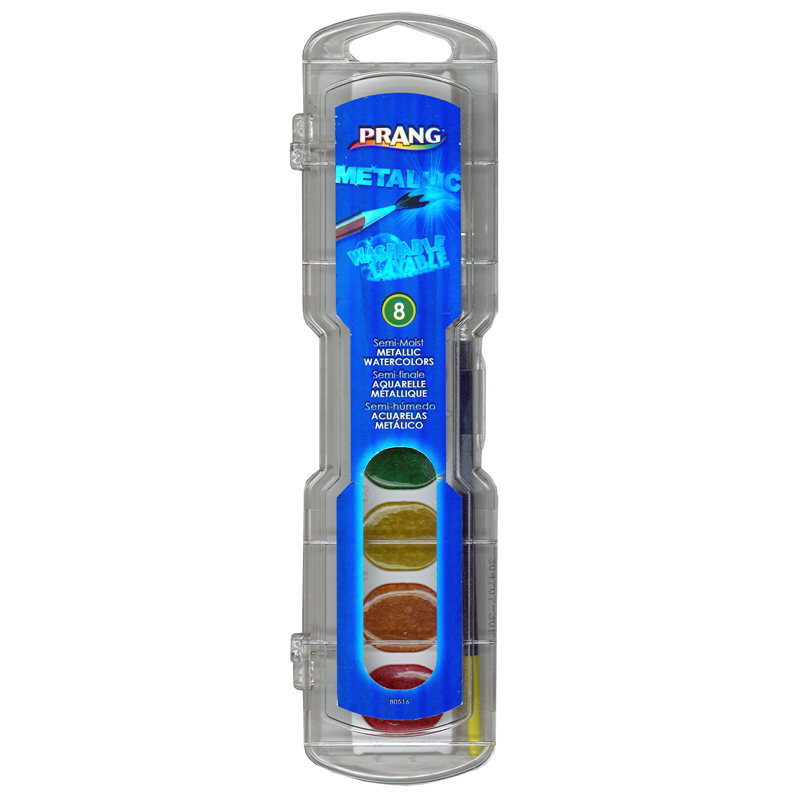 The Prang Watercolor Glitter Color 8 Ct can be found in our Paint product category within the Arts & Crafts.